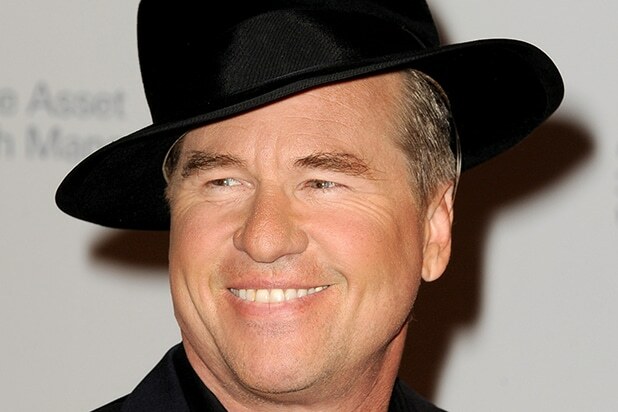 Val Kilmer has something to say to those who criticized his love of Cate Blanchett. The onetime Batman was at the Irvine Improv Wednesday night to introduce a screening of his one-man play “Citizen Twain,” when an audience member asked him who his favorite costar was to work with. Kilmer was referring his weekend tweeting spree, where he gushed over Blanchett, who he had worked with on “The Missing” and “Song to Song.” The actor was mocked on Twitter for tweeting about dreams he had of Blanchett, and how he flew to Australia just to meet her — only to be met with her husband. “I don’t know why loving an actor that’s so talented is creepy, but I guess I’m creepy,” he continued. Blanchett, who can have the final say on whether it was weird, still hasn’t responded to Kilmer’s tweets.